Being a DJ requires you to do a lot more than just play songs . All of our staff are professionally trained DJs that also act as an MC and Host of each event!! 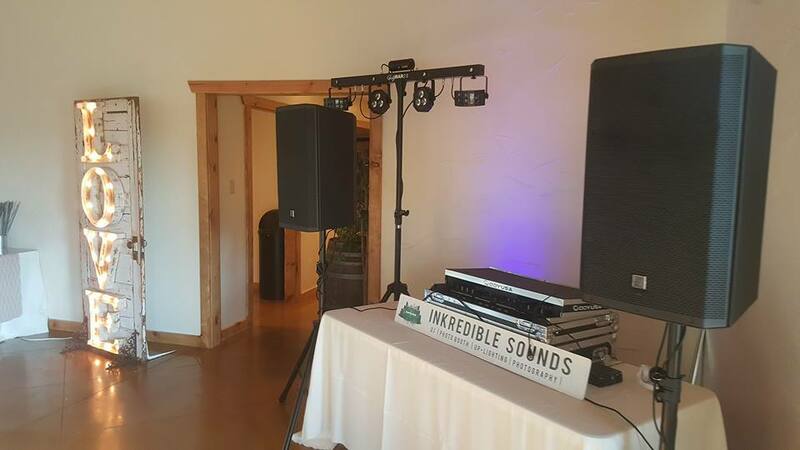 Inkredible Sounds Dallas North Texas DJ & East Texas DJ / MC staff will not only play great music and keep the dance floor jumping but, they’ll also add a touch of class and elegance while hosting your event. Inkredible Sounds takes pride in being a partner at your event and really knowing the ins and outs of your event. We coordinate with all of the vendors there to insure that each event runs smoothly from beginning to end. Wedding DJ prices range from $700 – $1000, with our most popular option being $800.